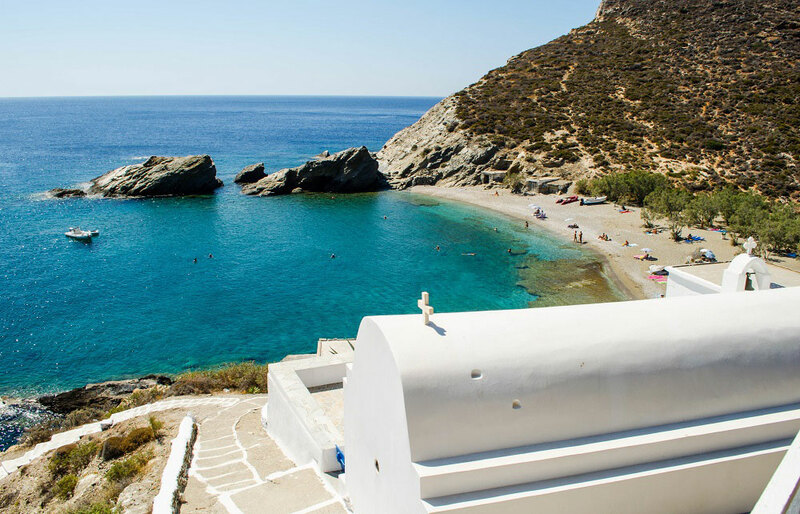 Are you are based on Sifnos but wish to visit another Cycladic treasure? 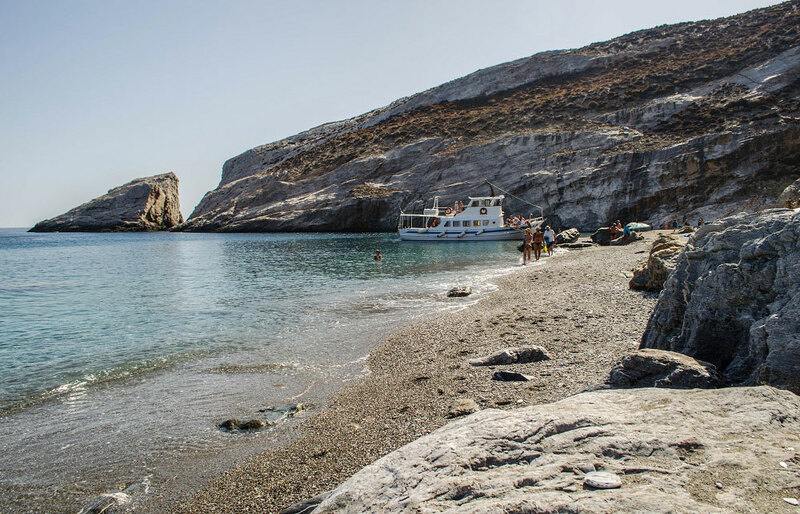 A cruise to the unspoiled, off the beaten track island of Folegandros might be exactly what you need! This small island will give you a true Cycladic experience away from the crowds and captivate you with its wild beauty. 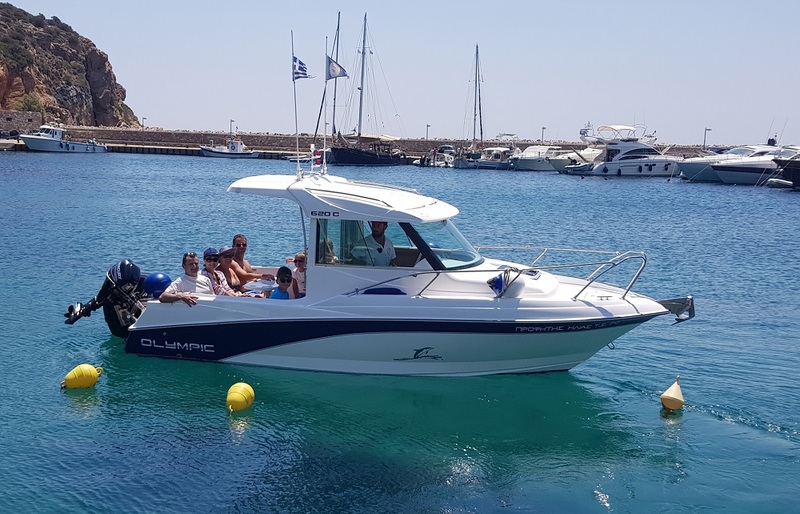 In this full day cruise you will depart from the bay of Platy Yialos and arrive at Agios Georgios, in Folegandros. 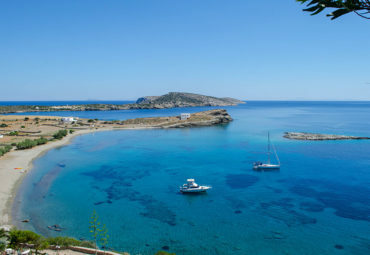 In this quiet little port, you will have a chance to swim in blue green crystal clear waters. 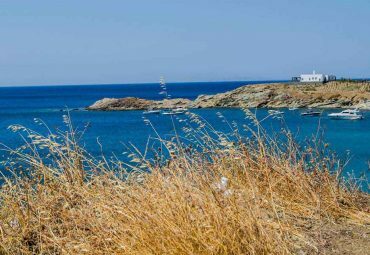 Then you will head to Kyparissi cape and pass by the pristine south beaches of Folegandros, Ambeli and Livadaki, before you arrive at the bay of Vathi. There you will meet two of the finest beaches in Folegandros, Agios Nikolaos and Agali, where you can swim, have a refreshment, if you wish, and enjoy the untamed beauty of Folegandros. 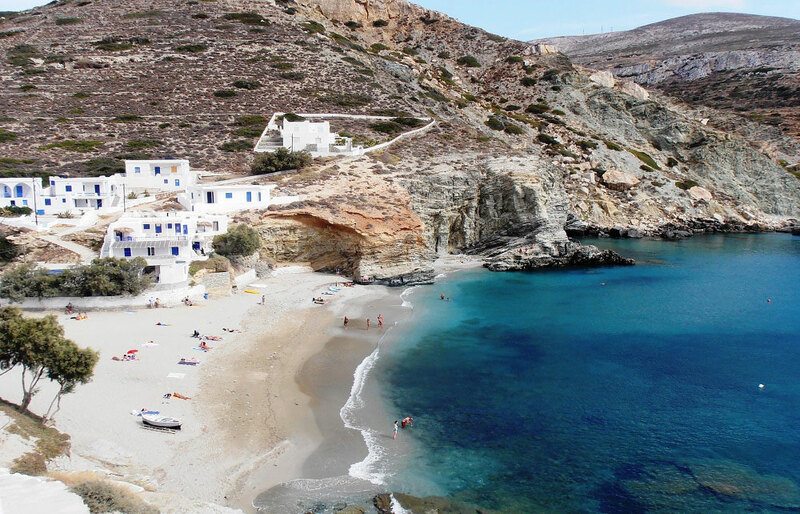 Afterwards, you will continue to visit Katergo, one of the wildest but most popular beaches in Folegandros. This remote wild beauty enjoys very calm waters, as it is protected by a small island that stands at its entrance. 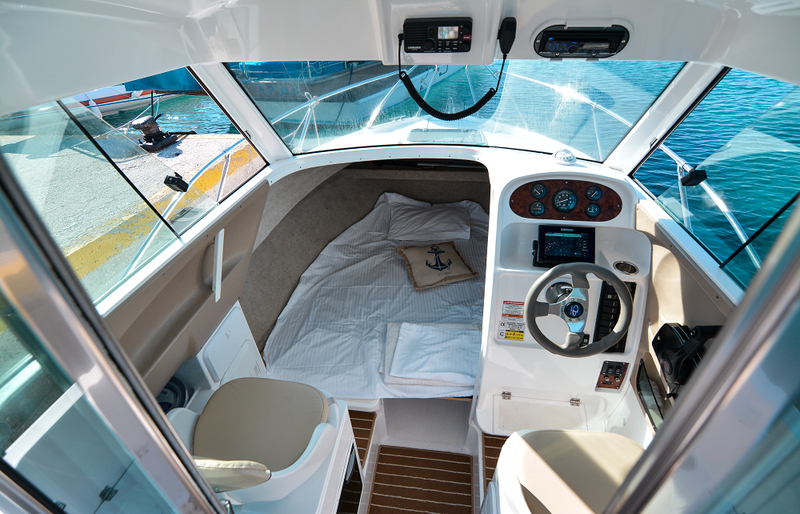 In fact, the waters are so clear that you will be able to see the sea bed even from a 10 meter depth. There you will enjoy a tranquil swim and, if you are adventurous enough, some dives from the small island. 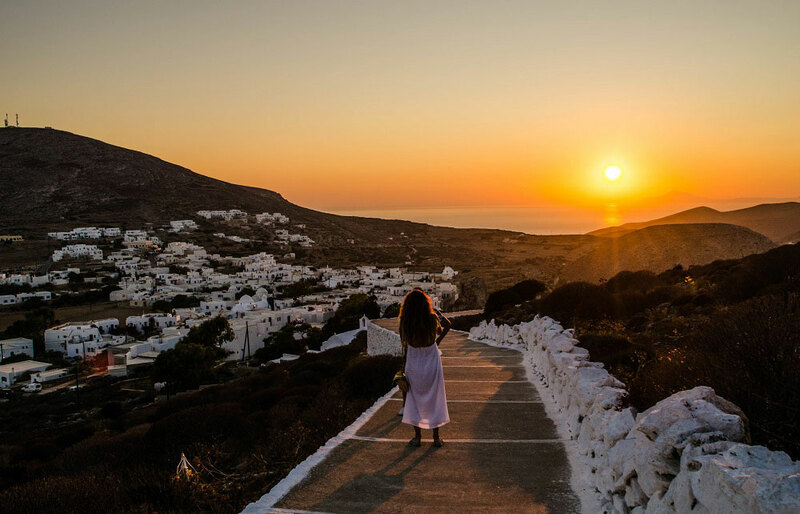 Later you will visit Karavostassi, the main port of Folegandros, from there you can take the local bus and visit the Chora of Folegandros. This little village is also known as “small Santorini”, as it is amphitheatrically built on a cliff, proudly overlooking the Aegean Sea. A true small princess of the Aegean that is worth exploring. 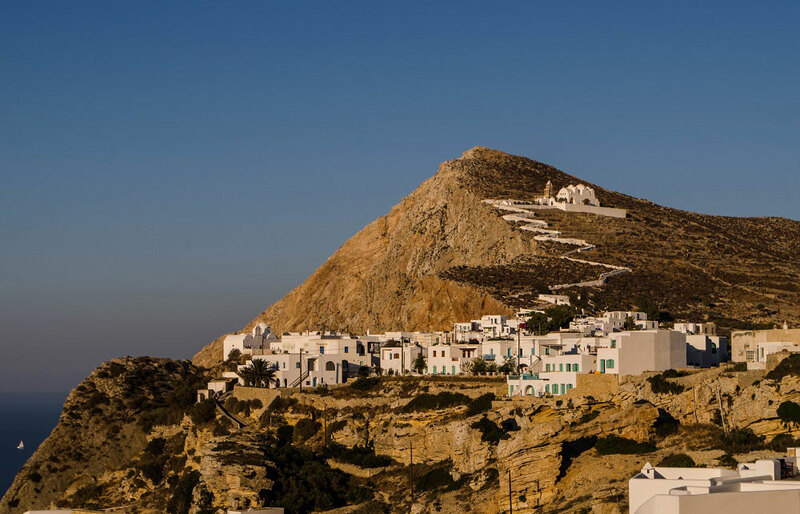 If you are feeling energetic enough, you can also visit the Panagia of Folegandros, the island’s most significant church, built on the hill above Chora, and enjoy its amazing view. 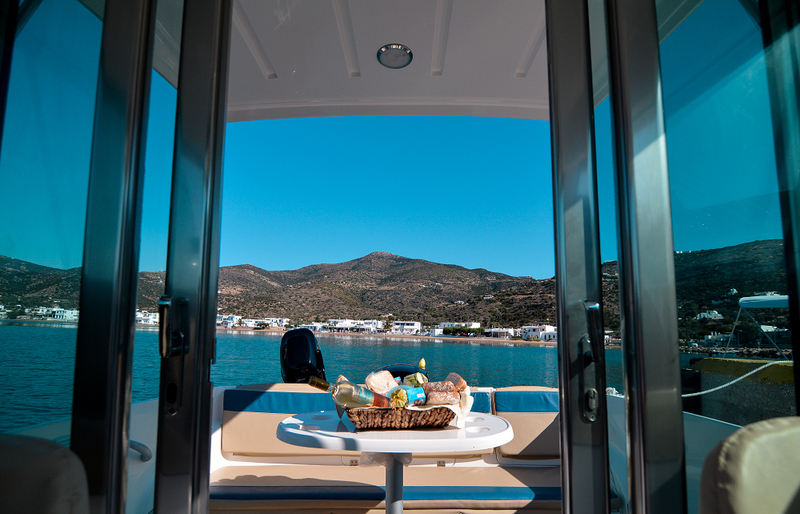 After your walk, you will return to Karavostassi, to cruise back to Sifnos. 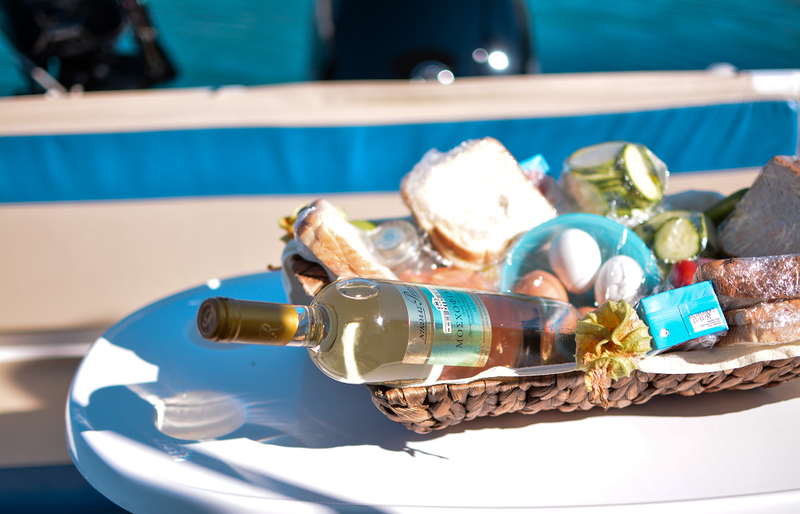 The departure for this cruise is also available from Parikia, Paros (Tour Code PAS-1106). Bus tickets to Chora town in Folegandros are available for purchase on the spot (extra). 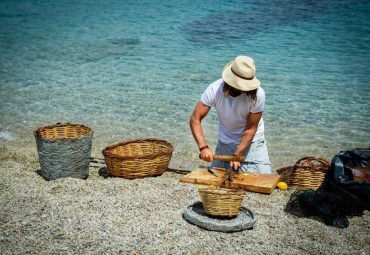 A true Cycladic experience away from the crowds! If you are looking to relax and enjoy pristine beaches, crystal clear waters and amazing food don’t miss out on this unique chance to visit this wild beauty!